The following is a list of basketball players who have won the most NBA Championships. 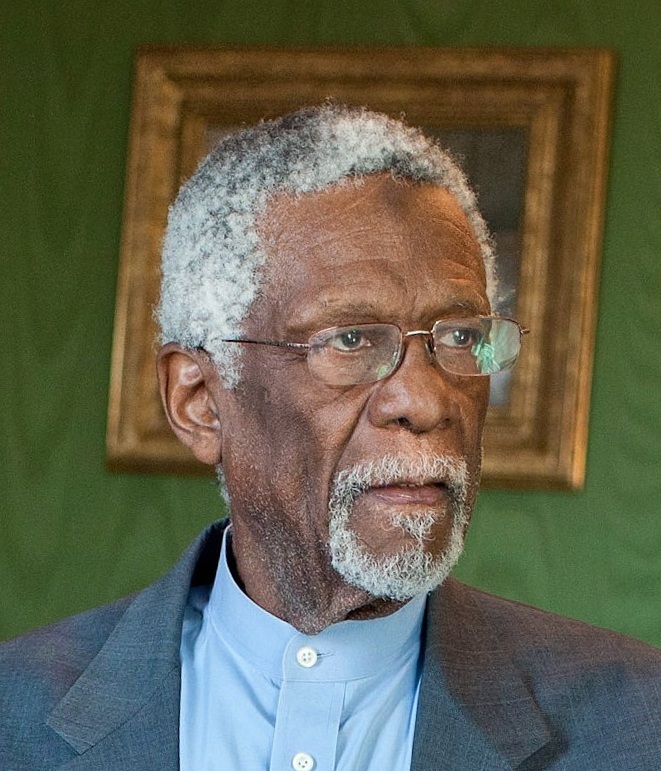 Bill Russell won 11 NBA Championships in 13 seasons, all playing for the Boston Celtics. Russell won the championship the first season he played in 1957 then won 8 more in a row from 1959-1966. Wilt Chamberlain finally won a championship in 1967 but then Russell and the Celtics came back and reclaimed the title in 1968 and 1969 which was Russell's last season. I've seen Bill Russell say he threw-up before every game. If you throw-up before a game you obviously really care about the outcome and I guess that only helps you win 11 NBA Championships in 13 years of playing. Sam Jones started playing in the NBA for the Boston Celtics in 1957-58. So he was not on the 1957 championship team but he was a major part of the team that won 10 out of the next 11 NBA Championships from 1958 to 1969. Just like Bill Russell he retired after the 1969 championships so he won 10 titles in 12 years of playing basketball. Not bad. Tommy Heinsohn joined the Boston Celtics in 1956-57 out of Holy Cross and went on to win Rookie of the Year honors as well as his first championship. Heinsohn retired in 1965 having won 8 championships in 9 years with the Celtics. He would later coach the team to two more titles in 1974 and 1976. He still broadcasts for the Celtics today on TV. K. C. Jones played college basketball with Bill Russell at the University of San Francisco and together they won two college championships there in 1955 and 1956. Jones then joined Russell on the Boston Celtics in 1959 and won 8 straight NBA Championships. He retired in 1967 after the Celtics did not win the championship. He went on to coach the Celtics to two more titles during the Larry Bird era in 1984 and 1986. Tom Satch Sanders won 8 NBA Championships playing alongside Bill Russell with the Boston Celtics during his 13 year playing career from 1960 to 1973. Satch Sanders averaged 9.6 points and 6.3 rebounds in his career. John Havlicek played for the Boston Celtics for 16 years from 1962 to 1978. He won championships from 1963 to 1966, 1968 and 1969 and was also a major cog on the Celtic championship teams in 1974 and 1976. Hondo was a legendary player when I was a kid and just started getting interested in basketball. NBA Championships followed Robert Horry around in his NBA career. He won two championships early in his career back-to-back with Hakeem Olajuwon and the Houston Rockets. He then won three championships in a row from 2000 to 2002 with Kobe Bryant and Shaquille O'Neal with the Los Angeles Lakers. He then went to the San Antonio Spurs and won titles in 2005 and 2007 with Tim Duncan and company. Frank Ramsey averaged 13.4 points per game in his career and won 7 NBA Championships as a member of the Boston Celtics from 1954-55 and 1956-64. Jim Loscutoff was a hatchet-man who averaged 6.2 points and 5.6 rebounds per game in his career and won 7 NBA Championships as a member of the Boston Celtics from 1955 to 1964. Michael Jordan led the Chicago Bulls to 6 NBA Championships during his great career. The Bulls won 3 straight championships from 1991 to 1993. Jordan then retired for the better part of two seasons. When he came back he led the Bulls to 3 more straight championships from 1996 to 1998 and retired again before coming back with the Washington Wizards in 2001-02. Had Jordan not retired twice he would likely have won at least two more championships. Kareem Abdul-Jabbar and his famous sky hook won 6 NBA Championships in a 20 year career. Kareem won his first championship in 1971 playing for the Milwaukee Bucks as Lew Alcindor. He changed his name after the championship to Kareem Abdul-Jabbar and went on to win 5 more titles with the Los Angeles Lakers in 1980, 1982, 1985 and back-to-back in 1987-88. Most people expected Kareem Abdul-Jabbar to win more NBA Championships in his career after he won 3 straight NCAA Championships with UCLA from 1967-69. Bob Cousy won 6 NBA Championships as a member of the Boston Celtics from 1950-1963. During his career he also led the league in assists for 8 straight seasons. After retiring in 1963 at age 34 he tried to make a comeback in 1969-70 with Cincinnati Royals at age 41 but only played in 7 games. When Michael Jordan retired for the better part of two seasons in 1993-94 Scottie Pippen had the two highest scoring and rebounding years of his career. But he could not carry the Chicago Bulls to any titles without MJ. Players with five NBA Championships include Kobe Bryant, Magic Johnson, Tim Duncan, Derek Fisher, Steve Kerr, Dennis Rodman, Ron Harper, Michael Cooper, Don Nelson, Larry Siegried, Slater Martin, Jim Pollard and George Mikan.